O Primordial One! I am speaking to Thee again of the everlasting laws; the wise King may easily rule his subjects if he follows them (1). If Kings did not establish rules, men in their covetousness would quarrel among themselves, even with their friends, relatives, and their superiors (2). These self-seeking men, O Devi! would for the sake of wealth kill one another, and be full of sin by reason of their maliciousness and desire to thieve (3). It is therefore for their good that I am laying down the rule in accordance with Dharmma, by following which men will not swerve from the right (path) (4). As the King should punish the wicked for the removal of their sins, so should he also divide the inheritance according to the relationship (5). Relationship is of two kinds by marriage and by birth; of these, relationship by birth is stronger than relationship by marriage (6). In inheritance, O Shiva! descendants have a stronger claim than ascendants, and in this order of descendants and ascendants the males are better qualified for inheritance than females (7). If the deceased leaves son, grandson, daughters, father, wife, and other relations, then the son is entitled to the whole of the inheritance, and not the others (9). If there are several sons, they are all entitled to equal shares. (In the case of a King) the kingdom goes to the eldest son, but that is in accordance to the custom of the family (10). If there be any paternal debt which should be paid out of the paternal property, such property should not be divided (11). If men should divide and take paternal property, then the King should take it from them, and discharge the paternal debt (12). As men go to hell by reason of their own sins, so they are bound by their individually incurred debts, and others are not (13). Whatever general property there may be, either immovable or of other kinds, sharers shall get the same according to their respective shares (14). The division is complete on the co-partners agreeing to it. If they do not agree, then the King should divide it impartially (15). The King should divide the value or profits of property which is incapable of division, whether the same be immovable or movable (16). If a man proves his right to a share after the property is divided, then the King should divide the property over again, and give the person entitled his share (17). O Shiva! the King should punish the man who, after property is once divided by the consent of the co-partners, quarrels again with respect to it (18). If the deceased dies leaving behind him grandson, wife, and father, then the grandson is entitled to the property by reason of his being a descendant (19). If the childless man leaves (surviving him) father, brother, and grandfather, then the father inherits the property by reason of the closeness of consanguinity (20). Beloved! if the deceased leaves daughters (surviving him), although they are closer to him, yet the grandsons (sons sons) are entitled to his property, because man is prior (21). From the grandfather the property goes to the grandson by the deceased son, and thus it is that men proclaim that the father s self is in the image of the son (22). In marital relationship the Brahmi wife is the superior, and the sonless man s property should go to the wife, who is half his body (23). The sonless widow, however, is not competent to sell or give away property inherited from her husband, except what is her own by her own right (24). Anything given by the fathers and fathers-in-law approved by Dharmma, whatever is earned by her personal efforts, is to be recognized as "Woman s property" (25). On her death it goes to the husband, and to his heirs according to the grades of descendants and ancestors (26). If the woman remains faithful to her Dharmma, and lives under the control of the relations of her husband, and in their absence under the control of her father s relations, then only is she entitled to inherit (27). The woman who is even likely to go astray is not entitled to inherit the husband s property. She is merely entitled to a living allowance from the heirs of her husband (28). If the man who has died has many wives, all of whom are pious, then, O Thou of pure Smiles! they are entitled to the husband s property in equal shares (29). If the woman who inherits her husband s property dies leaving daughters, then the property is taken to have gone back from the husband and from him to the daughter (30). In this way, if there is a daughter and the property goes to the son s widow, then, on the death of the latter, it would go back to the husband, and from the father-in-law descend to the daughter of the latter (31). Similarly, O Shiva! if property goes to the mother in the lifetime of the paternal grandfather, then, on her death, it goes to her father-in-law through her son and husband (32). As the property of the deceased ascends to the father, so it also ascends to the mother if she is a widow (33). But the stepmother shall not inherit if the mother is living, but on the death of the mother it goes to the stepmother through the father (34). Where, in the absence of descendants, the inheritance cannot descend, it would ascend the same way by which it would descend (35). Therefore, even when the father s brother is alive, the daughter inherits the property, and if she dies childless then such property goes to the father s brother (36). As inheritance descends in the male line, the stepbrother inherits even when there is a uterine sister (37). And when there is a uterine sister and sons of stepbrother, it is the latter who inherit the property (38). If the deceased leaves (surviving him) both uterine and stepbrother, then, by reason of the property descending through the father, they are entitled to inherit in equal shares (39). In the lifetime of their daughters their sons are not entitled to inherit until the obstruction is removed by the death of the daughters (40). In the absence of sons, the daughters divide among themselves the paternal property, after deducting the marriage expenses of an unmarried daughter (if any) out of the general estate (41). On the death of a childless woman the stri-dhana goes to her husband, and the property which she inherited from anyone else goes back to the line of the person from whom she inherited (42). The woman may spend property inherited by her on her own maintenance, and she may spend profits of it on acts of religious merit, but she is not able to sell or make gifts of it (43). Where the daughter-in-law of the grandfather (father s father) is living, or the stepmother of the father is living, the inheritance goes to the grandfather, and through his son to the (grandfather s) daughter-in-law (44). Where the grandfather, the father s brother, and the brother are living, the brother succeeds by reason of the priority in claim of the descendant (45). If a man dies leaving him surviving his grandfather, brother, and uncle, both of the former are nearer in degree than the last, and the property descends through the father to the deceased s brother (46). If the deceased leaves a daughter s son and father (surviving him), then the daughter s son inherits, because property in the first place descends (47). If both the father and the mother of the deceased be living (at his death), then, O Kalika! by reason of the superior claim of the male, the father takes his property (48). If the mother s brother is living, the sapindas of the father take the property of the deceased by reason of the superior claim of the paternal relationship (49). Property failing to go downwards has (here) gone upwards, but, O Shiva! by reason of the superior claim of the male line it has gone to the father s family. The mother s brother, in spite of the nearness of his relationship, does not inherit (50). The grandson by a deceased son inherits from his grandfather s estate the share which his father would have inherited along with his (the father s) brothers (51). Similarly, the granddaughter who has no brother and whose parents are dead, inherits, if she be well conducted, her grandfather s (father s father) property with her father's brothers (52). On the death of the grandfather leaving him surviving his wife, his daughter, and granddaughter, the last, O Devi! is the heiress of the property, since she takes it through her father (53). In property which descends the male among the descendants, and in property which ascends, the male among the ascendants, are pre-eminently qualified (to inherit) (54). Therefore, O Beloved! if the deceased has daughter-in-law, granddaughter, and daughter surviving him, then his father cannot take the property (55). If there is no one in the family of the father of the deceased entitled to inherit his property, then in manner above indicated it goes to the family of his mother s father (56). Property which has gone to the maternal grandfather shall ascend and descend, and go both to males and females through the maternal uncle and his sons and others (57). If the line of Brahmi marriage, or if the sapindas of the father or of the mother, be in existence, then the issue of the Shaiva marriage are not entitled to inherit the father s property (58). The wife and children of the Shaiva marriage, O Gentle One! are entitled to receive, from the person who inherits the property of the deceased, their food and clothes in proportion to the property left (59).Beloved! 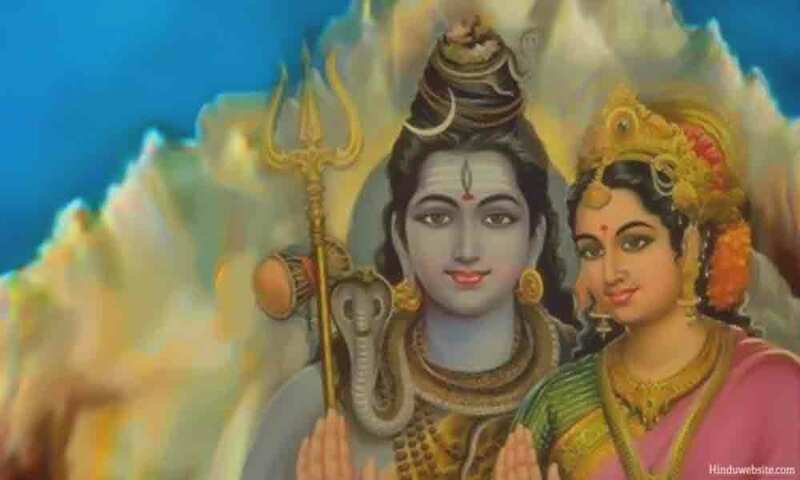 the Shaiva wife, if well conducted, is entitled to be maintained by the Shaiva husband alone. She has no claim to the property of her father and others (60). Therefore, the father who marries his well-born daughter according to Shaiva rites by reason of anger or covetousness will be despised of men (61). In the absence of issue of the Shaiva marriage, the Sodaka, the Guru, and the King shall, by the injunctions of Shiva, take the property of the deceased (62). Beloved! men within the seventh degree are sapindas, and beyond them to the seventh degree are sodakas, and beyond them are Gotra-jas merely (63). Where property which has been divided is again wilfully mixed together, it should be divided again as if it had not been divided (64). The heirs of a deceased are on his death entitled to such share of property, whether partitioned or not partitioned, as the deceased himself was entitled to (65). Those who inherit the property of another should offer him pindas as long as they live; it is otherwise in the case of a son by Shaiva marriage (66). Just as the rules relating to uncleanliness should, in this world, be observed by reason of birth-connection, so they should be observed for three nights by reason of connection by heirship (67). The twice-born and other classes shall purify themselves by observing the rules as to uncleanliness from the day they hear the cause of it until the end of the period prescribed; this is so both in the case of Purnashaucha and of Khandashaucha (68). If the period has expired when one hears the cause of it, then there is no Khandashaucha. And as regards Purnashaucha, it should be observed for only three days, but if one hears of the cause of the uncleanliness after the lapse of a year there is no period of uncleanliness to be observed (69). If a son hears of his father s or mother s death, or if the faithful wife hears of her husband s death after one year, then the son or the widow shall observe the period of uncleanliness for three nights (71). If during the continuance of a period of uncleanliness another new period begins, then the period comes to an end with the end of the Garu-ashaucha (71). The degree of different kinds of uncleanliness depends on the greater or lesser length of the period which should be observed. Of the various kinds of uncleanliness, that which is extensive in point of time is greater than that which is less extensive (72). If on the last day of a period of uncleanliness another period commences, then the uncleanliness is removed on the last day of the first period of uncleanliness; but if the cause of uncleanliness be such as to necessitate the observance of the full period, then the pre-existing period should be extended by two days (73). The unmarried female shall observe the period of uncleanliness of the father s family, but after she is married she is to observe impurity for three days on the death of her parents (74). After her marriage the wife becomes of the same gotra as her husband; the adopted son similarly becomes of the same gotra as the person who adopts him (75). A son should be adopted with consent of his father and mother, and at the time of adoption the adopted should, with his kinsmen, perform the sacramental rites, mentioning his own gotra and name (76). The adopted son shall have the same right to the property of his adoptive mother and father, and the same rights to offer pindas to them as the natural-born son has, since they are his mother and father (77). A boy of less than five years of age and of one s own caste should be adopted and brought up; a boy of over five years of age is not eligible (78). O Kalika! if a brother adopts his brother s son, then the brother adopting becomes the father, and the natural father becomes the uncle of the boy so adopted (79). He who inherits the property of another should observe the Dharmma of the person he inherits; he should also follow his family custom and please his kinsmen (80). In the case of the death of kaninas, golakas, kundas, and persons guilty of great sins, there is no uncleanliness to be observed, and they are not qualified to inherit (81). In the case of the death of a man who has been punished by castration, or of a woman who has been punished by the cutting of her nose, or of persons guilty of very great sins, there is no period of uncleanliness to be observed (82). The King should for twelve years protect the family and property of those of whom no news is known, and who have disappeared without any trace of their whereabouts (83). On the expiration of twelve years the image of such a person should be made with kusha grass and cremated. His children and others should observe a period of uncleanliness for three days, and liberate him from the condition of a Preta (84). The King should then divide his property among the members of his family in their order, beginning with the son; otherwise he (the King) incurs sin (85). The King should protect the man who has no protector, who is powerless, who is in the midst of adversity, because the King is the Lord of his subjects (86). Kalika! if the man who has disappeared returns after the lapse of twelve years, then he shall recover his wife, children, and property; there is no doubt of that (87). Even a man is not competent to give away ancestral, immovable property, either to his own people or to strangers, without the consent of his heirs (88). A man may, at his pleasure, give away self-acquired property, be it movable or immovable, and may also give away ancestral movable property (89). If there be a son or wife living, or daughter or daughter s son, or father or mother, or brother or sister, even then one may give away self-acquired property, both movable and immovable, and inherited movable property (90-91). If a man gives away or dedicates such property to any religious object, then his sons and others cannot affect such gift or dedication (92). Property dedicated to any religious object should be looked after by the giver. The latter is, however, not competent to take it back, because the ownership of such property is Dharmma (93). Ambika! the property or the profits thereof should be employed by the dedicator himself, or his agent, for the religious object to which it was dedicated (94). If the proprietor out of affection gives away half his self-acquired property to anyone, then his heirs shall not be able to annul the gift (95). If the proprietor gives half his self-acquired wealth to any of his heirs, in such a case the other heirs shall not be able to avoid such gift (96). If one of several brothers earns money with the help of the paternal property, then, while the other brothers are entitled to proportionate shares of the paternal property, no one but the acquirer is entitled to the profits (97). If one brother acquires ancestral property which was lost, then he shall receive two shares, and the other brothers shall together receive one share (98). Religious merit, wealth, and learning are all dependent on the body, and inasmuch as this body comes from the father, then (in such sense) what is there which is not paternal property? (99). If whatever men earn, even when separate in mess and separate in property, is to be considered paternal property, then what is there that is self-acquired? (100). Therefore, O Great Devi! whatever money is earned by one s own individual labour shall be self-acquired; the person acquiring it shall be the owner thereof, and no one else (101). O Devi! the man who even lifts his hand against his mother, father, Guru, paternal and maternal grandfathers, shall not inherit (102). The man who kills another shall not inherit his property; but the other heirs of the person killed shall inherit his property (103). Ambika! eunuchs and persons who are crippled are entitled to food and clothes so long as they live, but they are not entitled to inherit property (104). If a man finds property which belongs to another, on the road or anywhere else, then the King shall, after due deliberation, make the finder restore it to the owner (105). If a man finds property, or a beast of which there is no owner, then the finder becomes the owner of the same, but should give the King a tenth share of such property or beast (or of the value thereof) (106). If there be a competent buyer for immovable property, who is a near relation, then it is not competent for the owner of the immovable property to sell the same to another (107). Among buyers who are near, the agnate and one of the same caste are specially qualified, and in their absence friends, but the desire of the seller should prevail (108). If immovable property is about to be sold at a price fixed, and a neighbour pays the same price, then the latter is entitled to purchase it and no other (109). If the neighbour is unable to pay the price and consents to the sale (to another), then only may the householder sell the property to another (110). O Devi! if immovable property be bought without the knowledge of the neighbour, the latter is entitled to have it upon the condition of his paying the price immediately he hears of such sale (111). Should, however, the buyer, after purchasing it, have converted the place into a garden, or built a house thereon, or if he has pulled down any building, the neighbour is not entitled in such a case to obtain the immovable property by the payment of its price (112). A man may, without permission, without payment, and without obstruction, bring under cultivation any land which rises from the water, which is in the middle of a forest, or otherwise difficult of access (113). Where land has been brought under cultivation by considerable labour, the King, since he is the Lord of the soil, should be given a tenth of the profits of the land, and the rest should be enjoyed by him who has reclaimed it (114). One should not excavate tanks, reservoirs, or wells, nor plant trees, nor build houses in places where they are likely to injure other people (115). All have the right to drink the water of tanks and wells dedicated to Devas, as also the water of rivers, but the neighbours alone have the right to bale it out (116). The water should not be baled out of tanks, etc., even by neighbours, if to do so would cause a water famine (117). The mortgage and sale of property which is undivided without the consent of the co-sharers, as also when the right of the parties therein is not determined, is invalid (118). If property mortgaged or deposited with another is destroyed wilfully or by negligence, then the King should make the mortgagee or depositee restore the value thereof to the owner (119). If any animal or any other thing is used with the consent of the depositor by the person with whom they are placed, then the depositee should bear the expense of food and keep (120). Where immovable or movable property is made over to another for profit, such transaction will be invalid if it be not for a definite time, or if the amount of profits is indeterminate (121). Common (joint) property should not, on the father s death, be employed for profit without the consent of all the co-sharers (122). If articles are sold at improper prices, then the King may set aside such sale (123). As a body is born and dies only once, and property can be given away only once, so there can be but one Brahma marriage of the daughter (124). The man, devoted to his ancestors, who has an only son, should not give him away (in adoption), and, similarly, he should not give away an only wife or an only daughter in Shaiva marriage (125). In rites relating to the Devas and the Pitris, in mercantile transactions, and in Courts of law, whatever the substitute (Agent) does is the act of the employer (126). The immutable rule is that the Agent or emissary should not be punished for the guilt of the employer (127). In monetary dealings, in agriculture, in mercantile transactions, as also in all other dealings, whatever is undertaken, the same should be performed if in agreement with Dharmma (128). The Lord protects this universe. Whoever wish to destroy it will be themselves destroyed, and whosoever protect it them the Lord of the Universe Himself protects. Therefore should one act for the good of the world (129). End of Twelfth Joyful Message, entitled, "An Account of the Eternal and Immutable Dharmma."